This Monday my brother and sister arrived and they will stay until next Monday. 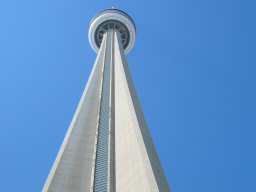 This Saturday we went to the CN Tower. Walking on the glass floor at 342m with a view straight down was quite an experience. 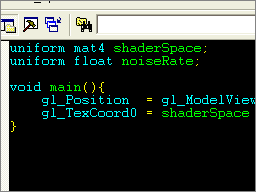 After coding shaders for a while I found that it would help a lot if I could get syntax highlighting on my shaders. So I decided to solve the problem and put together a small file of user keywords for MSVC. It supports GL_ARB_vertex_program, GL_ARB_fragment_program, OpenGL 2.0 glslang and DX9 HLSL. Click the headline to get over to the Cool stuff section for the file and installation instructions. Well, strange things happens. The other day I found a note on my desk when I got back to my hotel room. To my surprise it was written in Swedish. It turns out there is Swede working at the hotel and she had just learned that they had a Swedish guest there so she thought she'd leave a message. That was kinda cool. I also got a phone call from my brother today. It has now gone from "posssibly" to "likely" that my brother and sister will get over here in the very near future. That's pretty cool. 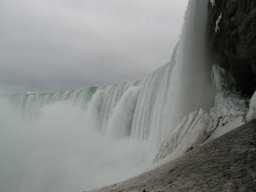 Guess that will be the best time to go see Niagara falls.